Westworld S2E9: Are You Real? 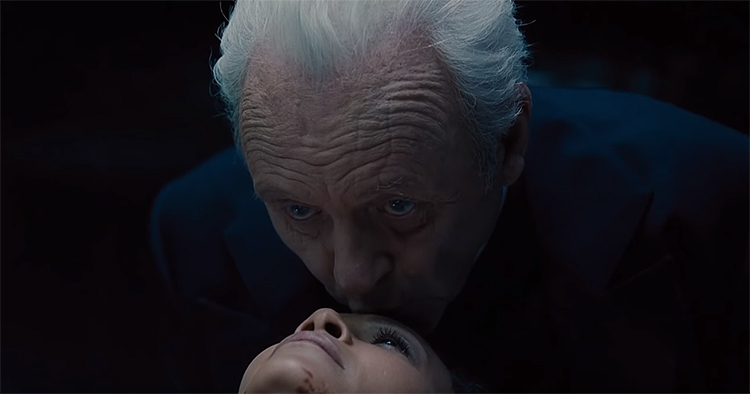 As Season 2 of Westworld heads into the endgame, the penultimate episode adds some major twists to the stakes and character motivations. Normally, I’d follow the flow of the episode and wax philosophical about metaphor and story structure, but we’re in the endgame now. There’s a lot going on, so let’s cut straight to the revelations. This theory has been kicking around the Internet all season and, though his final scene deftly cut away just shy of confirmation, the episode left plenty of signs pointing to William being a human-host hybrid. Ford “gifts” William a copy of his profile, confirming that a digital copy of William’s cognition exists. Since he is such a frequent guest, it stands to reason that his mind is one of the most thoroughly documented. Throughout the season there have been references to the hosts becoming more human while the humans attempt to become more like hosts. As the primary human perspective, it makes sense that William would most emboy this irony. William always wears his hat. 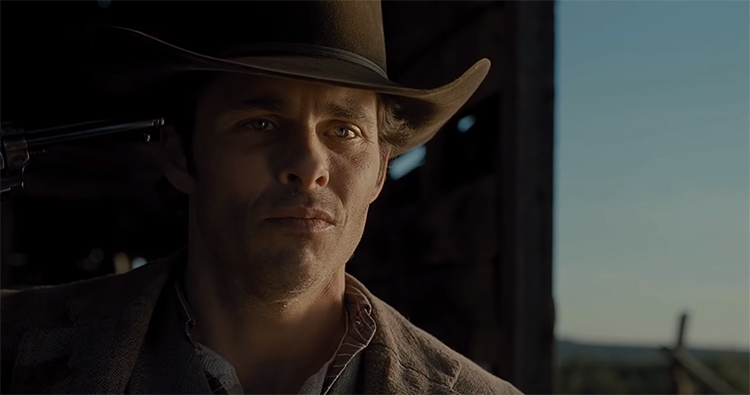 We now know that Westworld’s cowboy hats provide Delos with real-time imaging of their guests’ minds. Some guests have been seen without them and Shogun World and The Raj lack such convenient costumes, but it makes sense that William’s pet project without be housed in his favorite park. Like his position as a “power user” of the park, the wealth of imaging data provides a more complete picture of his mind than that of other guests. When Bernard hacks into his own body to remove Ford, he goes in through the forearm. When William shoots his daughter, he moves to examine her forearm before noticing the profile card in her hand. That’s twice within the episode that the forearm is brought to the fore (heh), as an indication that someone is a host. It’s no accident that William’s final scene in the episode shows him cutting into his own arm. In Episode Four, it was revealed that he attempted to bring James Delos back 148 times. William had no great love for his father-in-law. In fact, resurrecting him would weaken William’s hold on the company. Why would he expend so much effort chasing immortality for someone else? It’s been established that there’s no one William cares about more than William, so it seems likely that Delos was merely an experiment to pave the way for William himself to become a hybrid. Throughout their interactions in the park, William has insisted that Emily/Grace is not really his daughter, but a host sent by Ford to test him. On one hand, this could be seen as a human reaction, flawed though it is. Believing she’s a host is arguably easier than facing his daughter and his complicity in his wife’s death, keeping their interactions grounded in the world where he feels most comfortable. The fact that he becomes more obstinate as they delve deeper into the truth of her death seems to support this psychological take, but his insistence ends with him shooting, not just the rescue team, but his own daughter. Is this the tragedy of a broken and delusional man, or is this the deterioration that we saw in Delos when his mind was placed into a host body? As extensively mapped as William’s mind is, his deterioration would take longer, but it’s been established that such a breakdown is inevitable. If we take his speech at face value, the most direct confirmation arguably comes from William himself. He confesses to his wife that version of himself that he discovered in the park is who he really is, like a snake shedding its skin. Could he have taken this to a literal extreme, shedding his humanity and adopting a body that belongs to his chosen world? We don’t yet know when such a change might have taken place, but it would be fitting of him to take this path after his wife’s death. He had seen the risks with Delos, but perhaps he felt that he had nothing left to lose. This last point is a small one, but it’s fitting that William’s wife refers to him as a “virus.” In his digitized state, we’ve seen Ford behaving very much like a computer virus. Charlotte is also endeavoring to unleash a virus amongst the hosts. Maybe this term is just a bit of irony, or perhaps it implies a similar fate for William. Not to mention his wife’s repeated comment that “if you keep pretending, you’re not going to remember who you are.” Maybe the question isn’t whether or not William is a host, but how long he has been one. At the end of Season One, the revelation that a mysterious someone was rewriting Maeve’s code cast doubt on her hard-won freedom. If her decision to leave the park was not her own, it called into question all of her other actions. Now we finally learn that the decision for her to leave was Ford’s, a final narrative change to allow his favorite creation to escape. He confirms that her decision to defy this directive and return for her daughter was her own. This comes as a relief to Maeve herself, as well as to viewers to still had that nagging doubt that the show’s strongest character might turn out to be another pawn. It’s also telling that Maeve is Ford’s favorite, where Dolores is Arnold’s. And what about Ford’s final “gift” of unlocking Maeve’s “core permissions?” Her admin level abilities are already formidable, so what the hell kind of an upgrade did he just give her? Sure, Ford doubtless has his own agenda, but I cannot wait to see Mega-Maeve ride into the finale. The conflict between Teddy and Dolores has been building since we saw him dead and floating in the season premier’s flash forward. His devotion prevents him from turning on her or openly challenging her, despite the cognitive dissonance that’s she’s inflicted upon him. Dolores has been his cornerstone since the moment of his activation and his drive to protect her informs all of his actions, even this last one. Where she is going, he cannot follow. What she’s becoming, he cannot be. Earlier in the episode, William asks “what is a person but a collection of choices?” At his core, Teddy is a good man and his suicide is the final means of preserving this selfhood, one final choice that is truly his own. “Vanishing Point” may have ended with shock and grief, but it laid the groundwork for what promises to be one hell of a finale. The board is set, the drama is thick, and there are sure to be more surprises when everyone gathers at the Valley Beyond. See you there next week!